The strategy employs chains of binding agents, like beads on a string , which target two sites on one or more pathogenic molecules to neutralize their activity and promote their clearance by the body’s immune system. The low-cost, easy-to-replicate tool has demonstrated applications against several different toxins, from those found in contaminated food to those used in bioterrorism, and may also prove effective in targeting other types of pathogens. Currently, antitoxins are difficult to produce and have a short shelf life, making them very expensive. 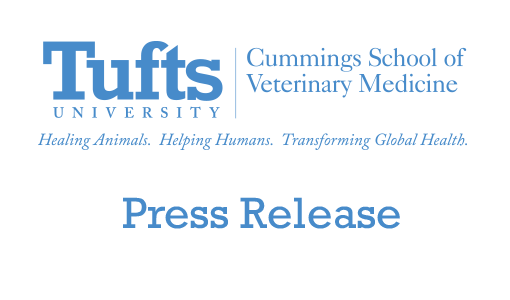 This new approach provides a low-cost way to develop highly effective antitoxins, said senior author Charles B. Shoemaker, PhD, professor of biomedical sciences at Tufts University’s Cummings School of Veterinary Medicine. This method has the potential to target a number of pathogens – not only toxins such as BoNT, but viruses or inflammatory cytokines. 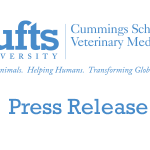 It is an important platform through which to address other significant diseases, says co-author Saul Tzipori, BVSc., DSc, PhD, professor of biomedical sciences and director of the Division of Infectious Diseases at the Cummings School. According to Shoemaker, a major advantage of this approach is that, unlike treatments that only neutralize toxins, this treatment both neutralizes toxins and ensures their rapid clearance from the body. Agents that only neutralize their pathogenic target will eventually dissociate which will allow the pathogen to continue doing damage if it is not eliminated, he said. Additional authors on the paper are co-first authors Jean Mukherjee and Jacqueline M. Tremblay; and Kwasi Ofori, Karen Baldwin, Xiochuan Feng, and Daniela Bedenice, all in the department of biomedical sciences at the Cummings School. Clinton E. Leysath, of the NIAID, and Robert P. Webb, Patrick M. Wright, and Leonard A. Smith, all of the United States Army Medical Research Institute for Infectious Diseases, also contributed.